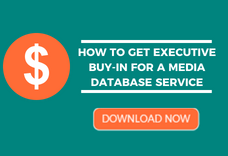 This is an excerpt from Cision’s new e-book, the Innovation Imperative. To read seven more stories from leading Canadian communicators click here. 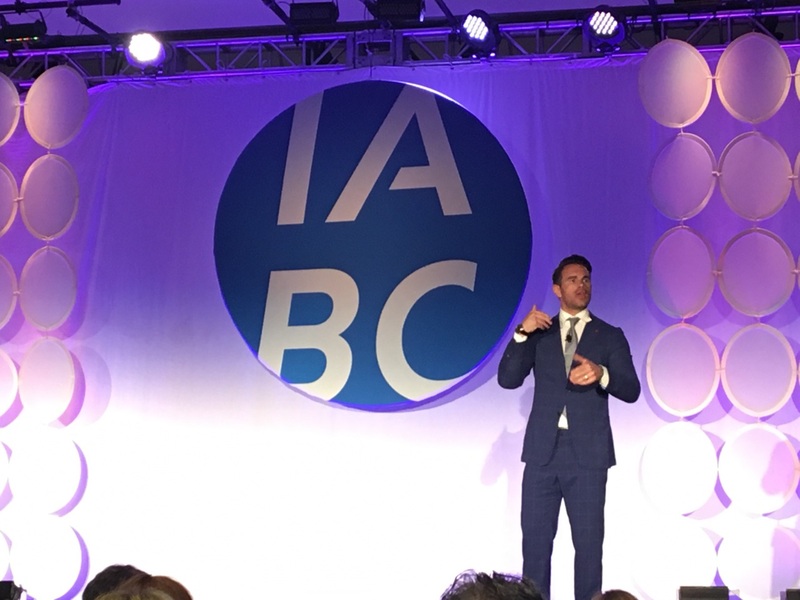 Earlier this week we discussed how being honest, open and transparent is the key to success in communications. This becomes even more important when lives are at risk. 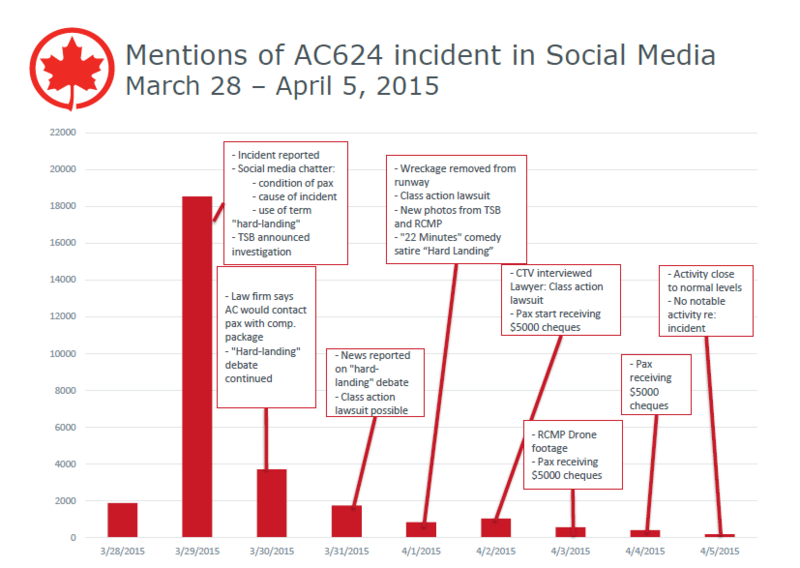 John Reber, Director of Communications at Air Canada, saw this first-hand when Flight AC624 incident on March 29, 2015 at 11:43 p.m. EST. The passenger jet flew into Halifax, Nova Scotia with 133 passengers and five crew members. However, the plane missed the runway, smashing through an antenna that caused the landing gear to separate from the aircraft, and hit a power-line before skidding to a stop. The last encounter finally damaging the plane’s fuselage and engines. With all of that communication, misconceptions still occurred. 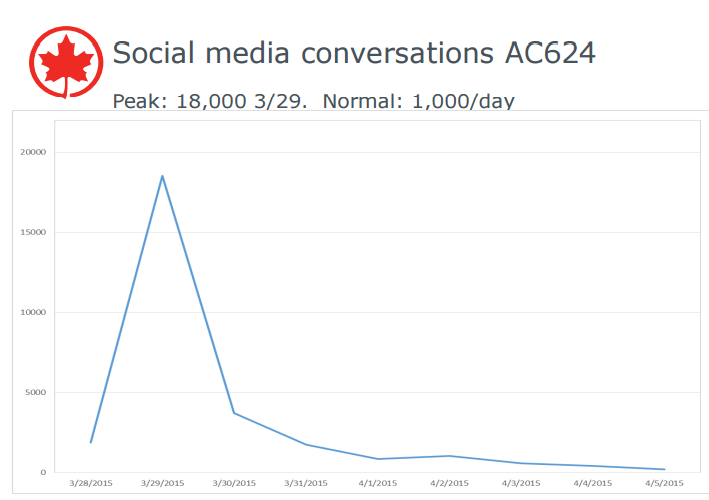 Stay up-to-date on brewing crises with real-time social media monitoring. “A statement by a representative at the airport not affiliated with Air Canada called incident (crash) a ‘hard landing’,” said Reber. This misattribution became the story for more than a full day. During the first 24 hours of the crisis, the airline received 18,000 social mentions—a 1,800 per cent increase from its daily average of 1,000 prior to the crash. With no serious injuries, the communication effort became damage control. 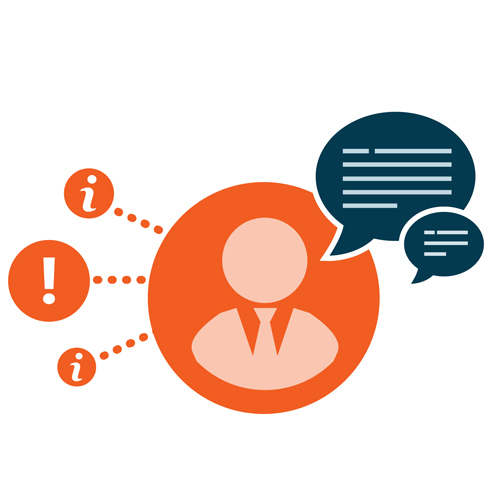 Manage the message and identify trends in the conversation that could further damage your brand. 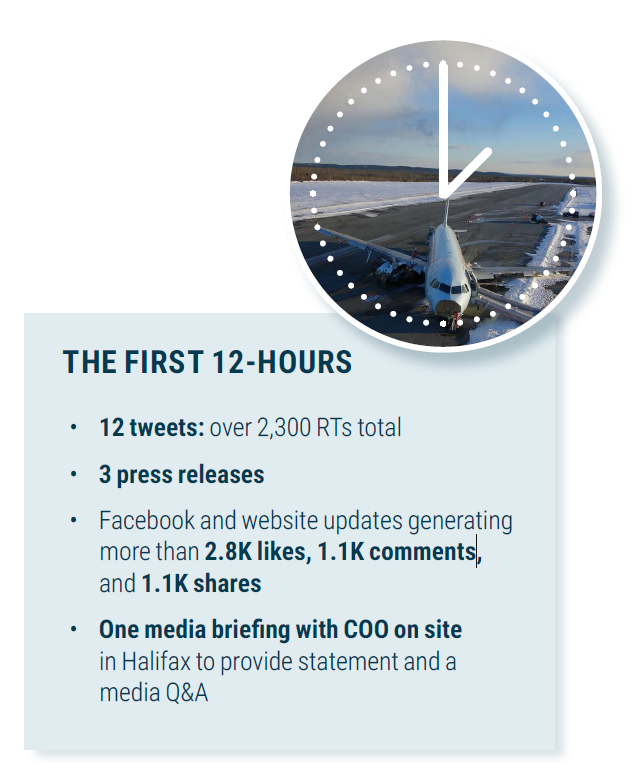 In less than an hour Air Canada had sent its first tweet to the public about the crash–it is better your voice than someone else’s—and updated the public through Twitter every hour using the hashtag #AC624. “By filling a communications vacuum [with scheduled updates], even in the middle of the night, coverage largely consisted of the facts as provided by Air Canada and the Transportation Safety Board,” said Reber. Get the messages shared by executives, media relations teams and on social media aligned so that there is no confusion and to maintain your brand’s storyline. Anyone checking Twitter, Facebook or Air Canada’s website received the exact same information. 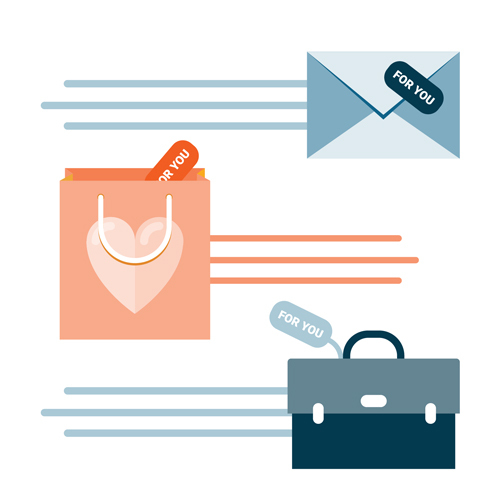 Brief your team as new information is made available before giving the go-ahead for release. In a crisis, the public wants your brand’s executives to be on-site and engaging in the conversation. Klaus Goersch, Executive Vice President and Chief Operating Officer at Air Canada, took part in the media briefing during the first hours of the incident. This kept Air Canada’s voice as the focus of the attention and helped publicly show that action had been taken, accountability maintained and the situation remained under control. When a plane crashes, people have lost—while hopefully not their lives—clothes, cellphones, laptops, and other personal items. Family members need to be notified and belongings replaced. Air Canada’s Special Assistance Team personally delivered items they could find to those passengers. Secondly, each passenger received a cheque for $5,000 by April 4, less than a week later. “The follow-up stories covered our response to the incident,” said Reber. “No one had been hurt seriously and our team stayed in constant contact with families and those affected directly. In a crisis, communicate first, communicate often and take action. That’s what will protect the brand and it also happens to be the right thing to do. Want more Canadian insight? 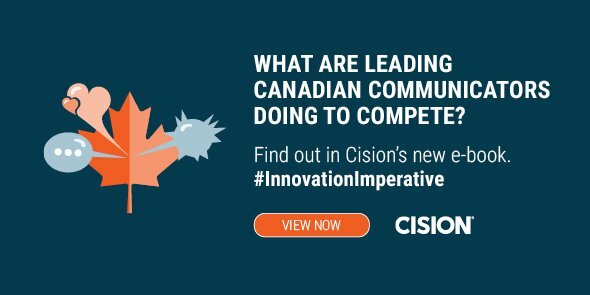 Read the Innovation Imperative: 7 Canadian Communication Stories.